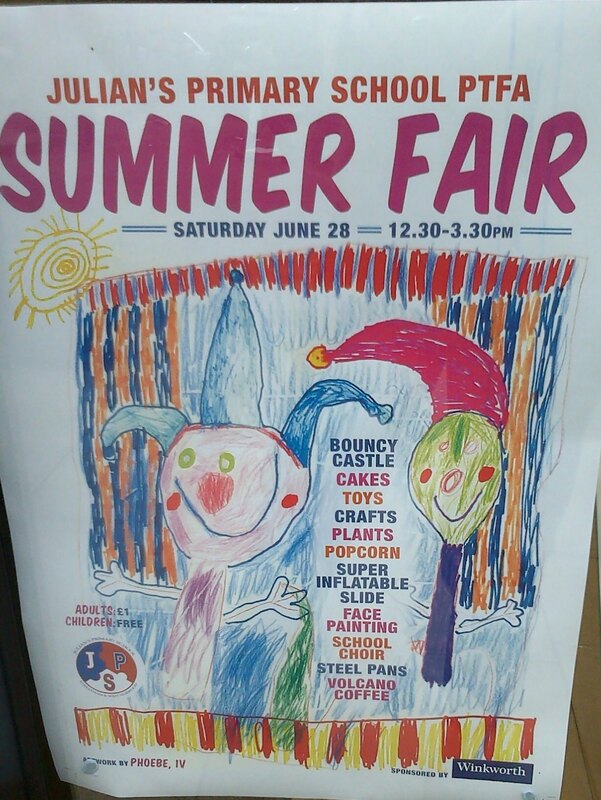 Saturday 28th June 12.30 to 3.30pm Summer Fair at Julians School in Wolfington Road SE27 0JF. Bouncy castle, coffee, steel pans, toys & cakes. Entry for adults £1.